Brandade de Morue, or Bacalao, is often served as an hors d’oeuvre or tapas all over the Mediterranean on a piece of toast or stuffed into a small tomato. But this creamy garlicky puree of salt cod and potatoes, with its salty deep sea taste, makes for an easy dinner with the addition of a poached egg. After soaking for 24 hours and then briefly poaching in milk, whiz up the cod with the potato, garlic and oil in a food processor and serve. And if you really want to gild the lily, add a bit of Mock Hollandaise on top! The cod must first be soaked for 24 hours in cold water to remove the salt. Step 1 Soak the salt cod in cold water 24 hours in advance, changing the water several times. Don’t try to short cut this process, the result will be a salty unappetizing mess. Remove the cod and place it in a pan with the milk, peppercorns, garlic, bay leaves and onion. Bring to a boil but watch it carefully or the milk will boil over. Lower the heat and simmer for 5 minutes. Remove the cod and let it cool. Place the potatoes in the milk and cook until soft. Drain and reserve the milk, removing the aromatics and adding the garlic cloves to the potatoes. Mash the potato lightly with a fork. Step 3 break the fillet into flakes and place into a food processor along with the potato and enough milk to combine into a soft mash – don’t over process or it will turn gluey. Stir in enough olive oil to smooth out the consistency. 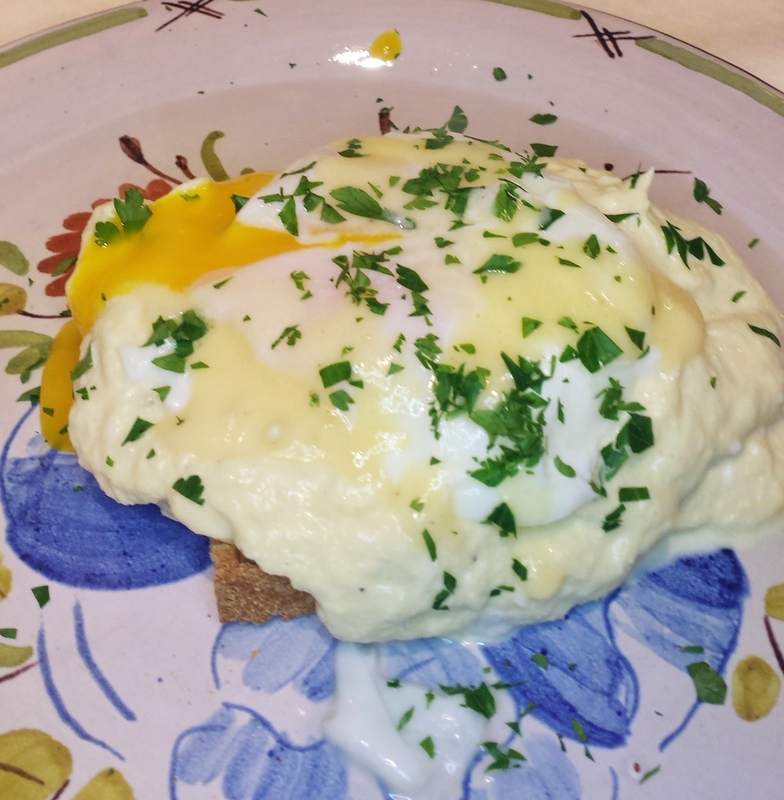 Serve warm on toast, top with a poached egg if desired, a spoon of Mock Hollandaise and a sprinkle of chopped parsley. Step 4 Leftover Brandade can be kept refrigerated for 1 week.